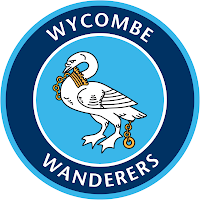 For a club only promoted to the Football League in 1993, Wycombe Wanderers have had their fair share of higher profile managers. The likes of Martin O'Neill, Lawrie Sanchez, John Gorman and now Peter Taylor have taken up the Chairboys job, attracted perhaps to its leafy Buckinghamshire location, even if the town itself is a notorious dump. Our only other competitive fixture ended in ignominy for Charlton, as our best chance to reach a major Cup final since perhaps 1947 was extinguished by a single Jermaine Easter strike. For the third consecutive season, we open with a home game against a promoted side. Whilst we drew and won against Scunthorpe and Swansea respectively, both were disjointed performances which posed more questions than they answered. Wycombe may have a reported injury crisis, but as a promoted club they are blissfully free of the type of upheaval that has characterised Charlton's preseason. Call me an old cynic, but is it possible the much rumoured takeover will be announced before the game? Just the tonic perhaps for a depressed fanbase to cheer the team onto victory, and to dare mutter the 'P' word as they walk excitedly up Floyd Road. The confirmation that Nicky Bailey would be club Captain was interesting in this context. As the club's second most valuable playing asset, Parkinson would surely not be so premature as to make the announcement unless his future at the club was assured, at least for this season. And what is the only thing that can guarantee such an outcome, if our financial state is truly as abject as the Board would have us believe? Yep, a takeover. I also found the comments about Andy Gray's availability for selection to be cause for cautious optimism too. The state of his personal issues are none of our business, but he likely remains the highest-paid player at the club, and probably good for 20 goals a season at this level. Most had assumed the club would accept a reasonable bid from a Championship club like Barnsley, but perhaps the problem lies in the treatment room rather than around the negotiating table. No cash-strapped club will risk hard currency on a 31-year old with a pelvic problem, but if he can be patched up well enough by his current employers then we may have found our League One target man, and a capable (and expensive) one at that. The possible presence of Gray somewhat complicates a predicted team selection, which had until then been straightforward. If Parkinson opts for a straight 4-4-2 with Gray likely partnering Burton, or perhaps the pacier McLeod, then it leaves a conundrum behind with Shelvey something of a square peg in a flat midfield four hole. The sooner we recruit a genuine left-sided midfielder, the sooner Parkinson can flit between 4-4-2 or 4-5-1 without unbalancing the side. Grant Basey offers positional discipline and quality delivery, but his lack of pace is perhaps less problematic away from home where a point is more easily acceptable. Given the long-winded trial afforded Wade Small however, and confirmed rumours about Plymouth's Jason Puncheon, it is clear Parkinson is aware of this issue. It would require at least two of the likes of Bailey, Racon, Shelvey, Spring or Semedo to start on the bench, but few successful sides suffer from too much squad competition. Semedo probably remains the only true holding midfielder, so he may be asked just to protect the new-look defence whilst some of his goal hungrier compatriots forge forward. When the teamsheet is delivered however, I expect it to look like this: Elliott, Richardson, Youga, Llera, Dailly, Semedo, Bailey, Racon, Sam, Shelvey, Burton. Subs: Randolph, Basey, Solly, Spring, McLeod, Fleetwood, Gray. NY Addick predicts: Charlton 2 (Shelvey, Bailey), Wycombe 0. Att: 16,792. Now I actually want to watch it! I just did a quick futile search online and there seems to be no way at all of watching the game even in replay or highlight form. Any sugestions? It's the Andy in NYC btw we have met a couple of times. Fortunately (or unfortunately) enough, I'm in London and thus will be at the game. Other than the highlights on the CAFC TV website, you may be advised to do what I did, and adopt a Premiership club whilst you live in NYC, because you will be starved of any Charlton coverage I'm afraid (the upcoming Sky game against Brentford possibly an exception). BBC don't allow us foreigners to watch their recordings, live or recorded unfortunately because they have clearly upped the non-Prem coverage this season. However I was v impressed with the new CAFC TV today and that is pretty much the only way to follow us these days. Is Murray a Charlton fan?